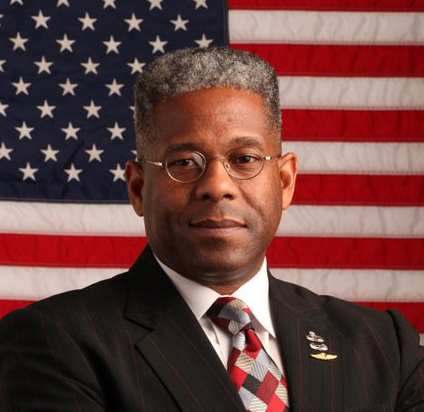 Allen West for President in 2016? If you thought you have seen the last of Col. Allen West, think again. Former US Rep. Allen West (FL-R) was interviewed by NPR and hinted to what his future plans may be. Hinted, hmm … West’s hint was as subtle as a sledgehammer, “And always remember, Abraham Lincoln only served one term in Congress, too.” I would dare say that Allen West has more in common with Lincoln than does the current occupant of the White House. MARTIN: Duly noted. Congressman West, thank you so much for speaking with us. The Lonely Conservative is not the only one who hopes he runs. I am guessing the MSM and Democrats will still call the individuals racist for voting for West as well. I can’t wait for the MSM to embrace Allen West for President like they did Barack Obama. The election for the House seat for Florida’s 18th District is not over yet. US Representative Allen West (R-FL) won his legal challengeto continue the recounting of the votes. West won the court fight to have votes recounted in his Florida congressional race against Democrat Patrick Murphy. The St. Lucie County Supervisor of Elections ordered a retabulation of all eight days of early voting to begin Saturday morning. Rep. Allen West’s (R-Fla.) campaign is celebrating a circuit court judge’s decision that blocked Democratic challenger Patrick Murphy’s attempt to stop a recount of early votes in St. Lucie County, a major part of Florida’s 18th District. “Clearly, if the canvassing board has already agreed there were discrepancies and under- or over-counted ballots, it would make no sense to halt the retabulation,” West campaign manager Tim Edson said in a statement late Saturday. Watch this election in the end fall within the margin of error where all of the votes will have to be recounted by state law. Rep. Allen West (FL-R) releases a devastating political ad that will all but seal victory for West. Can you say a devastating blow that no one could get up from. If the Florida voters ever wanted a more clear compare and contrast of the two candidates, look no further than the VIDEO below. OUCH, that is going to leave a mark. In a day when partisan politicians think that your past tax records are required to hold office, I would interject that maybe you past record would also be in play. A note to the media that wrote this story, its not an attack ad when one states the truth. An attack ad is one when you depict West punching an elderly white woman. That would be an attack ad. This would be an ad stating fact. The voters have a choice who they want and character matters. US Rep. Allen Westhas a new political ad … shows Democrats for what they really are and their true feelings. Sometimes an event takes place that needs no words added. Such was the case of the disgraceful acts of the Democrat delegates at the DNC convention where on there separate occasions, Democrats said no to God. Then, they booed. Check out Allen West’s website. Rep Allen West (FL-R) Says Barack Obama is serving America a crap sandwich with a smile on his face… But it’s still a crap sandwich. Yet just another reason why we love Republican Florida Representative Allen West, he does not beat around the bush and says it like it is. This weekend on Fox News West said, Barack Obama is serving America a crap sandwich with a smile on his face … But it’s still a crap sandwich. That’s about it, sadly there are too many Americans that appear to have developed a taste for crap. Responding to Obama’s likability being a factor in this race, Allen West says that Obama is basically feeding America a crap sandwich with a smile and that it’s very important for us to win the images war in the presidential race. Because a crap sandwich with a smile is still a crap sandwich!